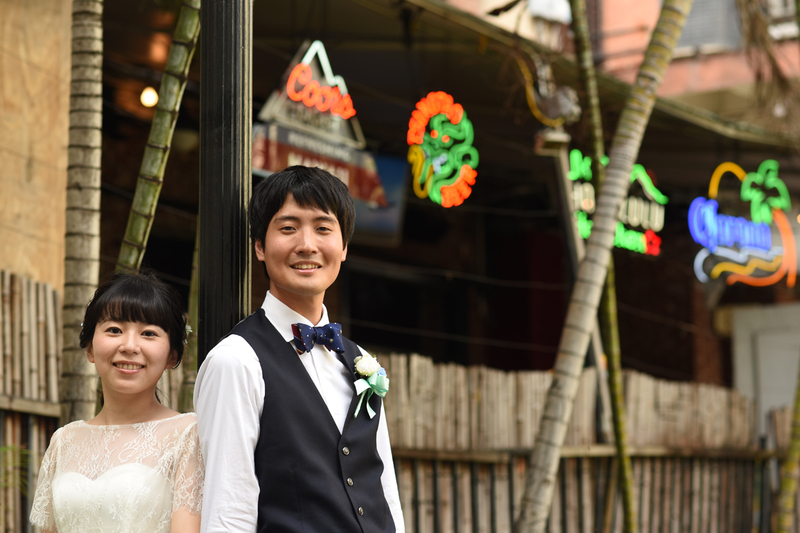 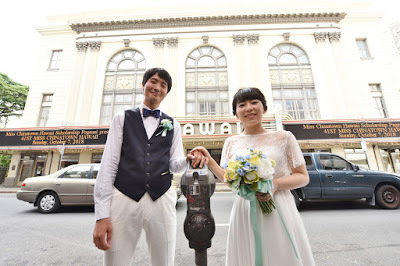 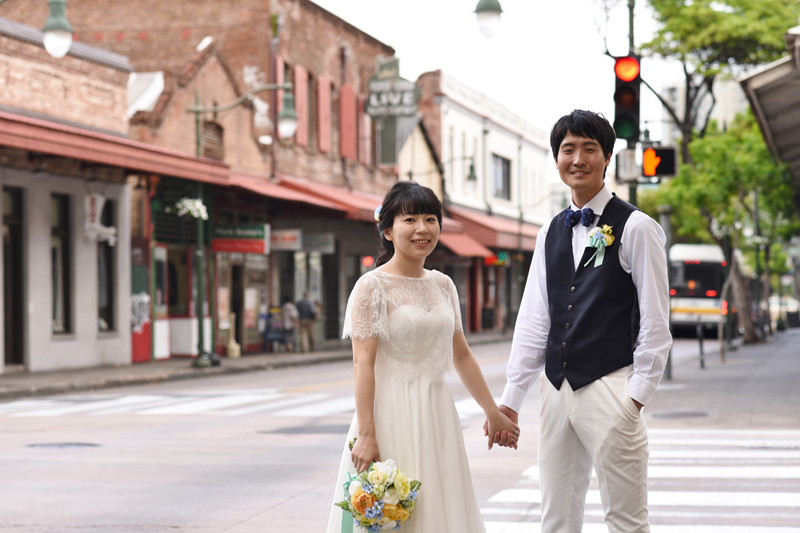 Japanese Bride and Groom wave to the camera from popular photo tour location at Hawaii Theatre in Downtown Honolulu. 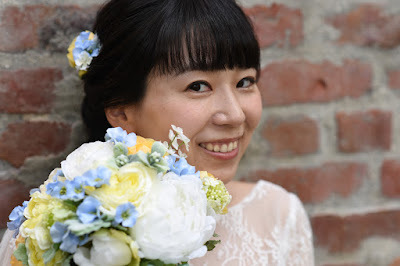 Lovely Bride's smile with colorful flower bouquet by brick wall in Honolulu. 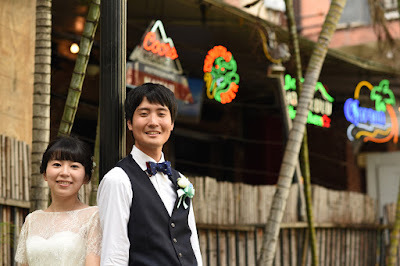 Colorful signs in the background are an essential part of this honeymoon photo. 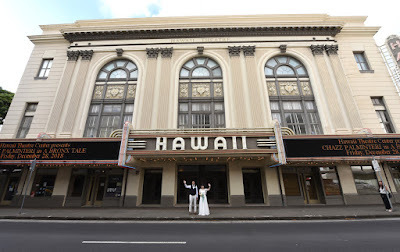 Need a really wide camera lens to get the whole building.